Chrichton's World: Review Dead Calm (1989): Still holds up but flawed! 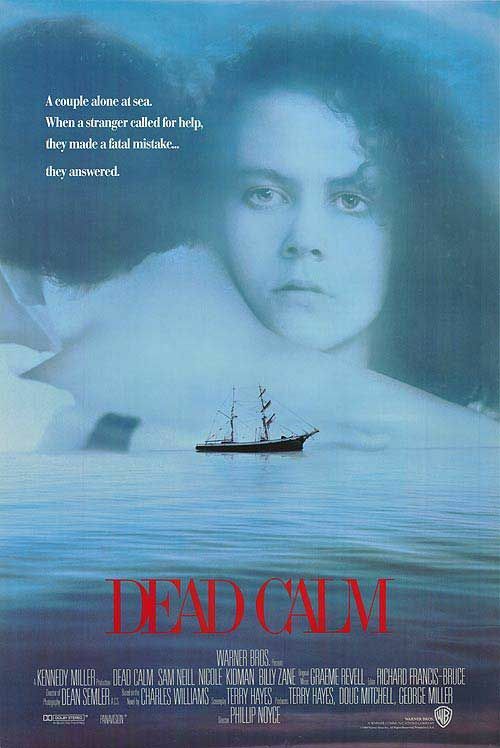 Review Dead Calm (1989): Still holds up but flawed! One thing you have to realize is that Dead Calm is not a thriller that is full of twists and turns. There won't be that many surprises. Instead it relies on events full of tension and dread. This is done so well that you will have fun throughout. "The dog Benji doesn't hesitate to betray his owners when the cards have turned. He on a whim is totally loyal and devoted to Hughie (Billy Zane) and foils actions and plans Rae (Nicole Kidman) comes up with. In a way Benji is more evil than Hughie." Dead Calm still holds up today and is a very good example of the magnificence that was the Eighties. and Philip Noyce's directing. He knows how to infuse suspense and tension without having to rely on crazy twists and turns. So do watch it if you have never seen it before.